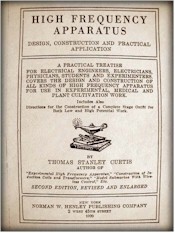 A practical treatise for electrical engineers, electricians, physicians, students and experimenters. Covers the design and construction of all kinds of high frequency apparatus for use in experimental, medical and plant cultivation work. Includes also direction for the construction of a complete stage outfit for both low and high potential work.